What is Amazon Flex? Amazon Flex is a delivery program that hires independent drivers to complete Amazon deliveries. If you’ve ever seen an Amazon package being delivered by someone in plain clothes in a normal vehicle, it was likely an Amazon Flex driver. Compared to jobs with Uber, Lyft, and delivery apps, Amazon Flex pays well but it can be difficult to get the job because new positions don’t open up often, and drivers compete for limited shifts. What do Amazon Flex drivers do? Flex drivers pick up packages from stations and deliver them to customers using directions from the Flex app. Amazon Flex shifts come in 1-4 hour blocks that can be scheduled ahead of time or as shifts become available, and the pay is typically $18 – $25/hour. In this article I go over the requirements to become a Flex driver, the application process, and an overview of what the job is like. Have a smart phone: Iphone 5 or newer, Android phone running Android version 4.4 or higher. To begin the application process, visit flex.amazon.com or download the Amazon Flex app. Amazon Flex vehicle requirements: What kind of vehicles can you use? Amazon Flex requires a four-door sedan, a pickup truck, or a minivan. Two-door cars are not accepted because they may not be large enough to fit every package that you’re assigned for your shift. There isn’t currently there is not a maximum vehicle age, so the age of your vehicle isn’t as important as the size and condition. There is no vehicle inspection, but if your car is older and unreliable you’ll probably be deactivated for missing deliveries. What does the Amazon Flex background check look at? Going back 7 years, Amazon checks for felonies and other major criminal violations. Any issues in your background involving theft or violence will likely disqualify you from the job. They also perform a motor vehicle record check that looks for major driving violations or a large number of citations. How long does the background check take? Amazon says that it should take 2-5 days to complete your background check, but it’s possible that it could take longer. If it’s been longer than 5 days, contact Amazon Flex support. Most rideshare and delivery companies require that you have at least one year of US licensing experience. Amazon Flex does not have a license history minimum, so you qualify to drive even if your license is less than one year old. That’s a huge benefit if you’re a newer driver. How much do Amazon Flex drivers make? Amazon Flex drivers earn $18 – $25/hour. The payout for a delivery shift is fixed, and the fixed payout amount depends on the time of the shift, the difficulty, and the region. One nice thing about Flex is that you’ll know exactly how much you will earn for each shift when you sign up for it. 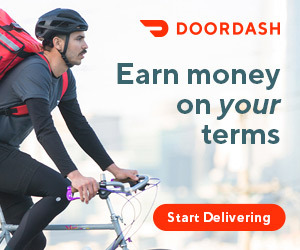 Uber, Lyft, and other delivery jobs don’t offer guaranteed income. Amazon occasionally offers bonuses and incentives to Flex drivers. I was offered the chance to earn a $100 Amazon gift card if I completed 5 delivery blocks within two weeks. For now, there’s no permanent bonus or incentive system, but keep an eye out for emails from Amazon that announce bonus opportunities. How does payment work? Flex drivers are paid twice each week via direct deposit. Inside the App you can view upcoming schedule payments and past completed payments. The application process is fairly straightforward, but it can take awhile to get hired and start working if there are no openings in your area. In my case, I filled out a preliminary application and waited two weeks before I could proceed. For others, it may take even longer. Download the app and check to see if your city is accepting drivers. When your background check is complete and you’ve been accepted as a driver, you’ll get an email from Amazon that says “Welcome to Amazon Flex. Get Started.” You can also check by signing into the Flex app. If you’re hired, you’ll be asked to input your phone number. If you’re not, you’ll still see a checklist of application items with one or more of the items unchecked. What can you do if there are no new Flex job openings in your city? Most people open up the Flex app and find that Flex either isn’t in your city or new jobs are not available. In that case, all you can do is enter your information to be notified of any new positions that open up. Sometimes there is no option to be notified at all. If you don’t see any way to be notified, check back with the app every once in awhile to see if your city has been added to the list. After you’ve completed the background screening and all other application steps, new options will appear in the Flex app. The “Offers” menu options is where you’ll schedule your shifts. The “Calendar” area is a calendar that allows you to select dates and times when you’re willing and able to do a 4-hour flex shift. Guaranteed shifts: The “Offers” area of the app is where you can claim “Reserved Offers.” A reserved offer is a shift that has been set aside you based on your availability. You can choose to accept or decline the reserved offer, but there is a deadline to accept the shift so make sure to accept a shift as soon as you can. Drop-in shifts: You can also pick up Next Day shifts as they become available. Next Day offers are in high demand, so you shouldn’t miss out on your reserved offers. As of now there’s no way to be notified of new Offers, so you’ll have to check back regularly if you want to pick up a shift. On the day of your shift, the Flex app will notify you where to go to pickup your packages. What types of deliveries do Amazon Flex drivers do? The Flex app will always let you know what type of orders you’re doing, and how to complete it, but it’s good to know what type of work you’ll be facing. Almost everything you do during a Flex shift is initiated and concluded by the Flex app. There are many steps for every part of the process, but if you always have your phone opened to the Flex app there will be instructions that will let you know what to do next. The Flex app guides you each step of the way, down to turn-by-turn directions. If you ever get stuck, you can always call support. Is Amazon Flex a good job? Overall, Amazon Flex is among the best of the on-demand app jobs. Flex pays better than jobs with Uber (how much Uber drivers make), Lyft, and delivery apps, and you’ll always be sure how much you’ll earn from a Flex shift. With Uber, Lyft and delivery apps you can expect to make around $10-$15/hour after expenses, and the income can be very sporadic and unreliable. One big downside is that getting Flex shifts can be difficult. Unlike rideshare and delivery apps, you can’t just sign on and work. With Flex you have to closely monitor your availability and constantly check the app if you want to pick up a Next Day shift. The work you do for Flex is mostly straightforward and doesn’t involve too much customer service, which is a plus compared to Uber and Lyft. The work might be frustrating if you run into issues with your deliveries or with the app. Trouble Parking, figuring out how to get into apartment complexes and office buildings, and safely leaving packages in the right location are all challenges you’ll run into that could make your shift longer and harder than expected. Can I start with a rented car? Yes, but it should be a rideshare-approved rental from an agency like Maven Gig or HyreCar. Will prior traffic/moving violations count against my chances to successfully get registered for Amazon Flex? If yes, how many prior traffic/violations do they take into consideration? Will I be given options to choose what type of delivery I can do? or its up to them, I just select the shifts? You only select the shifts. Flex deliveries are typically smaller ‘regular’ orders, like the typical amazon box you’d see on a doorstep. I think that the 4 door truck would be OK. The extended cab doors won’t qualify if they’re not a ‘regular’ door. I’m not sure about that. I’m guessing it would be difficult because you need to upload documents and have them approved, which might be hard with a temporary rental. But if you’re using a weekly or monthly rental, it could work.